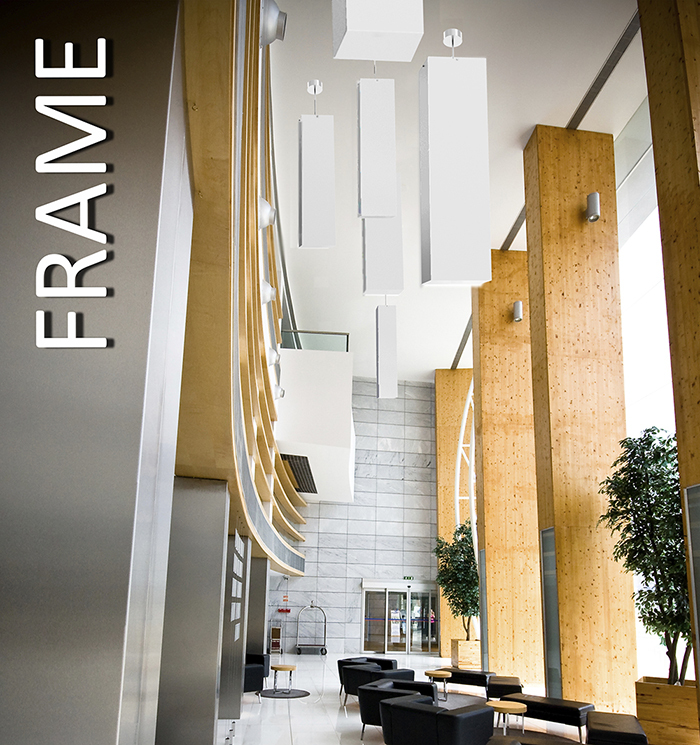 Frame pendants are all fabriated with 3/16" thick white acrylic , mitered and glued on all corners, with a white bottom diffuser and removable top . 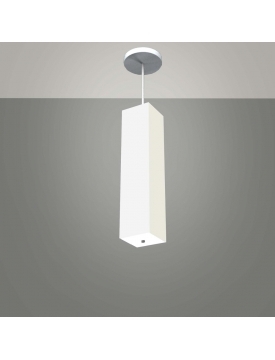 Illumination is achieved with a 360 degree omni directional linear LED module that delivers uniform lighting throughout with no shadowing or hot spots. Universal 120-277V drivers with 0-10 V dimming are standard on all sizes. Lumen output on each sise indicated the standard module output on each. Additional lumen output available on a a custom basis. Where long stems are required or if installing on sloped ceilings, aircraft cables supports are recommended as sole supports or in augmentation to the center stem.